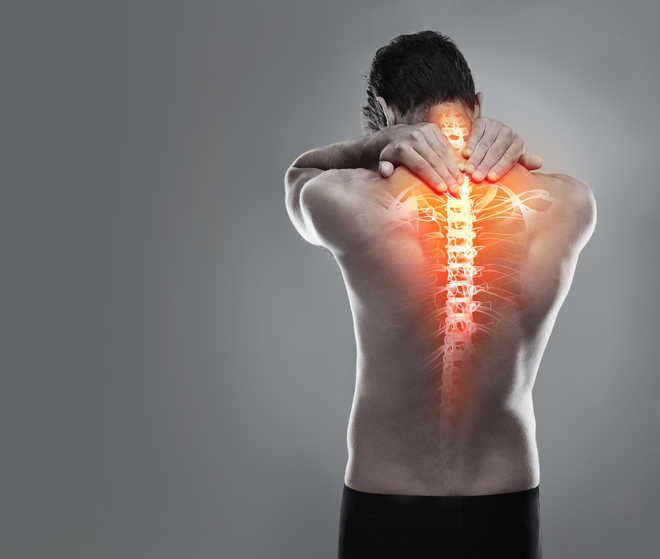 Researchers in Hyderabad are developing a new strategy for the treatment of spinal cord injury (SCI) for which currently there is no satisfactory cure. Spinal cord is a bundle of nerves running down the middle of one's back that carries signals back and forth between the body and the brain. SCI, which disrupts the signals causing temporary or permanent changes in its function, is a medical emergency. Its treatment requires restoration of structural and functional aspect of damaged neurological tissues in the spinal cord. Recent developments have showed that transplantation of "human neural precursor cells" has the potential for reconstruction of the neural network at the site of damage in patients suffering from SCI. However, to provide better treatment, the grafted precursor cells must survive long enough and differentiate into neuronal cells -- which are functional units of the nervous system. This has remained a challenging task. Now researchers at Deccan College of Medical Sciences (DCMC) and Dr Habeebullah Life Sciences -- both in Hyderabad -- report a strategy that is claimed to meet these objectives. They have successfully evaluated their approach in an animal model. Their study, reported in the journal "Frontiers in Bioengineering and Biotechnology", describes a translational approach to "bioengineer functional neurological constructs for the treatment of SCI defects". Explaining, Aleem Ahmed Khan, a scientist at DCMC and the paper's corresponding author, said their strategy, in short, involves growing nerve cells on biological constructs -- or scaffolds that act as a three-dimensional platform. "On transplantation (into a patient), these constructs can function for long term and help to regenerate the nerves affected by (SCI)." Being tissue specific, the biological construct is immunologically tolerable and is enriched with several crucial "neurotrophins" -- which are small proteins -- needed to regenerate the damaged neural networks at the damaged site of the spinal cord, Khan told IANS in an email. "Developing such scaffolds which provide mechanical and biological support for long-term survival and function of neurological cells is highly desirable and can potentially change the treatment strategies in SCI and other neuro-degenerative applications," he said. "Construction of immunologically tolerable cell-laden scaffold is an interesting development," Praveen Kumar Vemula, Research Investigator at the Institute for Stem Cell Biology and Regenerative Medicine in Bengalur, told IANS. "This research has shown encouraging direction, which needs to be evaluated further." According to the researchers, applicability of the bio-engineered constructs was tested by transplanting the constructs in Wister rats. Khan said: "All the animals survived the entire duration of the study (14 days post-transplantation) which revealed that these constructs are immune-compatible." They conclude that the engineered neuronal constructs, being natural biological scaffolds, were well tolerated by the host and may serve "as one of the potential options" for regenerating the neuronal connections damaged by SCI. "Further preclinical testing and optimisation of this approach in animal models will likely provide a more authentic road map for approaches for its future clinical applicability," says their report.